CBD is non psycho active, meaning that the user will not feel any difference within their mental state. There is no ‘high’ that is commonly connected with the compound THC, found in cannabis based products. As it does not alter mental clarity, CBD products are great for people who need relief from anxiety while at work or on the move. Across America and Europe governments have rescheduled CBD as legal and safe. This is a major turning point in the medical industry, offering a natural alternative to pharmaceutical drugs, that often come with dangerous and nauseating side effects. All humans and animals have endocannabinoid systems (ECS) which are responsible for maintaining homeostasis. The main components of this system are cannabinoid receptors, endocannabinoids and metabolic enzymes. 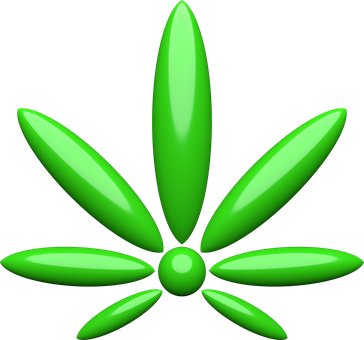 The cannabinoid receptors are found on the surface of cells and observe the conditions around the cell. They send data to the centre of the cell to trigger a response. The two most important receptors are known as CB1 and CB2. CB1 receptors can be found within the brain and are active when users consume THC. CB2 are commonly found outside of the body, in areas like the immune system. Endocannabinoids are molecules that connect to and turn on cannabinoid receptors and are naturally formed within the human body. The metabolic enzymes help to make sure that the body uses the endocannabinoids at the correct times and does not waste their healing properties. CBD oil can help people suffering from endocannabinoid deficiencies where the body has a low amount of endogenous cannabinoids required for optimum health. Studies have shown that these sort of deficiencies can be related to conditions, such as, fibromyalgia, migraines, PTSD and multiple sclerosis. Medicines created from hemp and cannabis come in many different forms that offer great versatility. Many users prefer the organic approach and use full spectrum oils in their health routines. The medicine also is available as a topical cream, for direct application in areas of need, like a sports injury or arthritis. Furthermore, the cream can assist in treating skin conditions like acne and rosacea, where the body responds well to it’s anti-inflammation properties.